These clouds need no silver linings. Stuart Hyatt is justifiably proud of these recordings, but he didn't expect you to hear them. After he finished The Clouds and pressed 200 copies, he went home to pursue his next artistic impulse. He had no intention of producing additional copies; The Clouds, as far as he was concerned, were history. That was part of his plan. "The Clouds were a theoretical band that was assembled magically for these songs," he said, "only to fade back into the landscape after the CD was pressed." Imagine if you will a musician with Robert Pollard'esque qualities in a Sumnter County Alabama, recording a gospel record with a 120 or so members of the community ranging from school kids to grandparents this is the Clouds. It is the embodiment of outsider music, a soul-stirring example of sonic folk art. Innocence and purity, captured and documented. Real music by real people, not a bunch of play-by-numbers trendoids, the Clouds may have been a "theoretical band," but they created an enduring legacy. It deserves to be heard, and preserved. Clouds usually obscure the sun, and darken the landscape. These Clouds will brighten 24 minutes of your day. Hey. I just wanted to say thanks for doing whatever you did to get Clouds re-issued. I ordered a copy for myself within minutes of receiving the email announcement. When I got it, I was so blown away I promptly ordered four more to give as gifts. Sorry to sound like a QVC shill or something, but it's an astonishing piece of art/music. 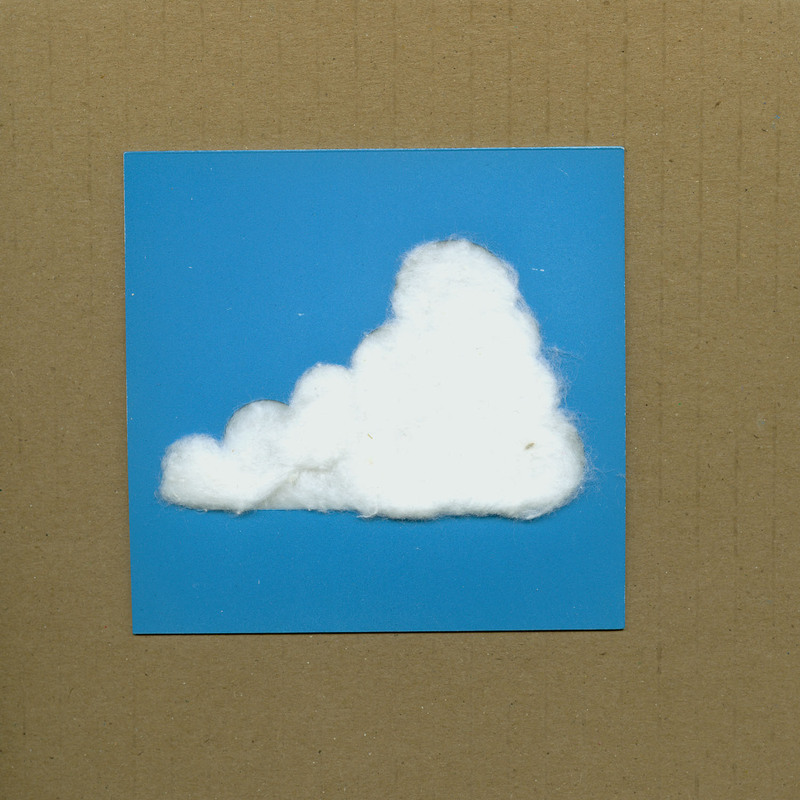 I just finished listening to The Clouds, while I occassionally glanced over at the corrugated sleeve with authentic construction paper and cotton ball. The album is perfect! One of the most refreshing things I've had enter my ears in a long time. It's quite moving also. It's also quite short. For me, that's a good thing. Do your stuff, and when it's done, leave.